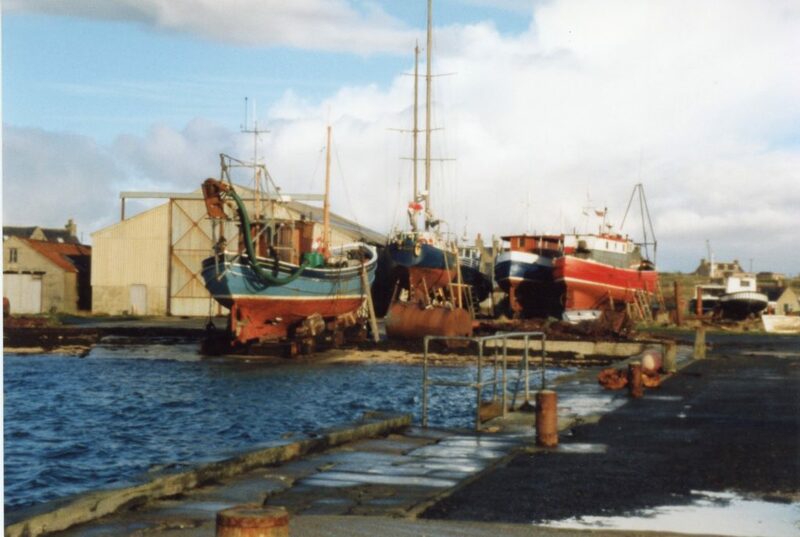 Duncan’s Boatyard in Burray was one of the most successful boatyards in Orkney over many years. 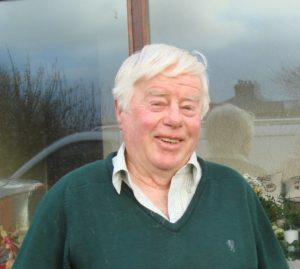 At the age of 15 Robin followed in the footsteps of his father James Duncan and became the fifth generation of Duncans to take on the business. 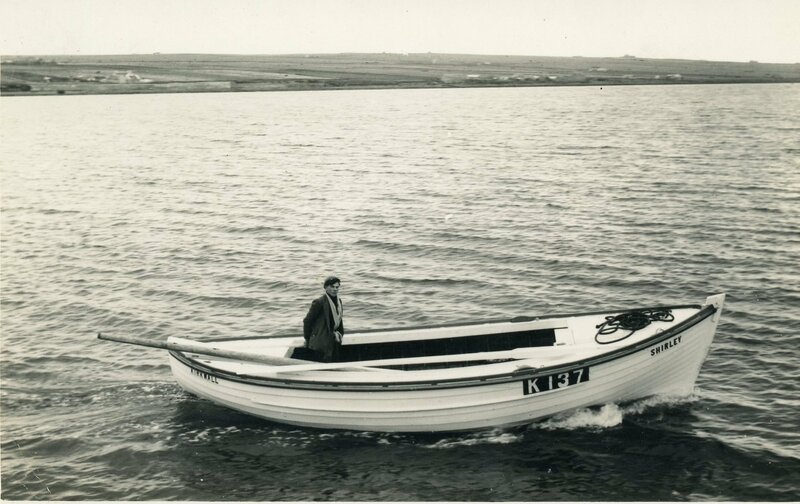 Robin continued the tradition of building the full range of Orkney boats at that time which included dinghies, Yoles, motor boats and fishing boats. 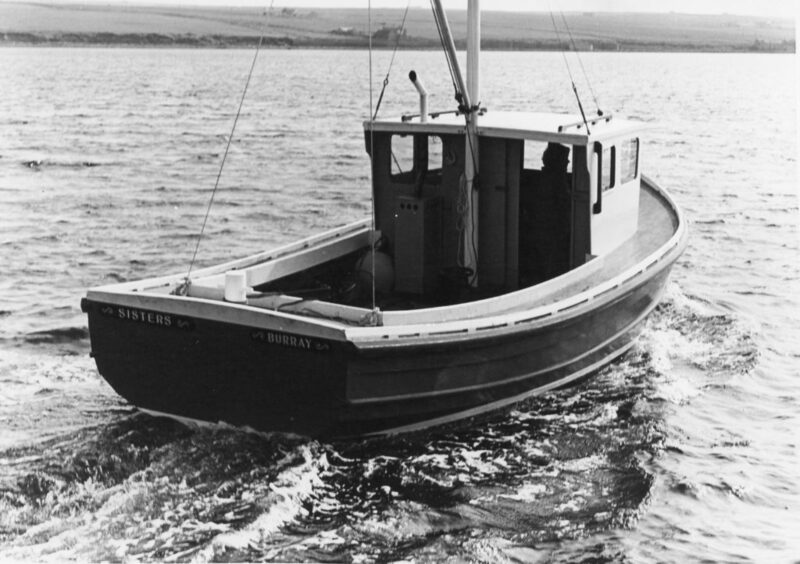 In the late fifties and early sixties grants became available for fishermen to build new boats. 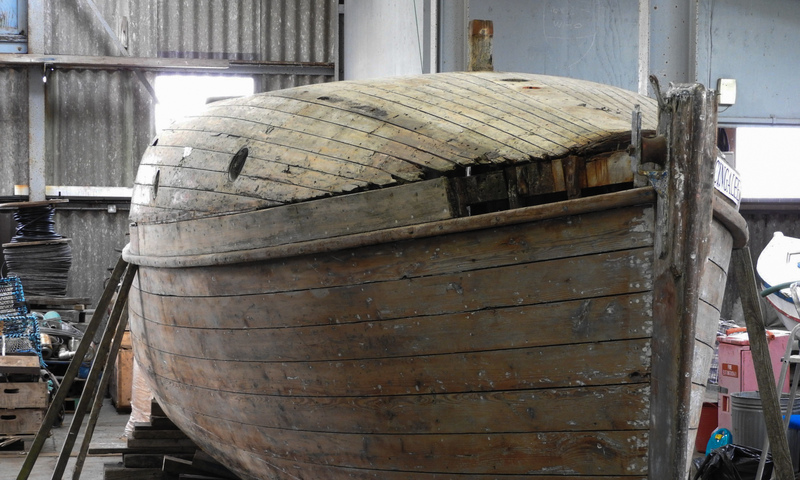 This created a bonanza for the boatbuilders. Many boats in the 26ft to 28ft size range were built at this time. 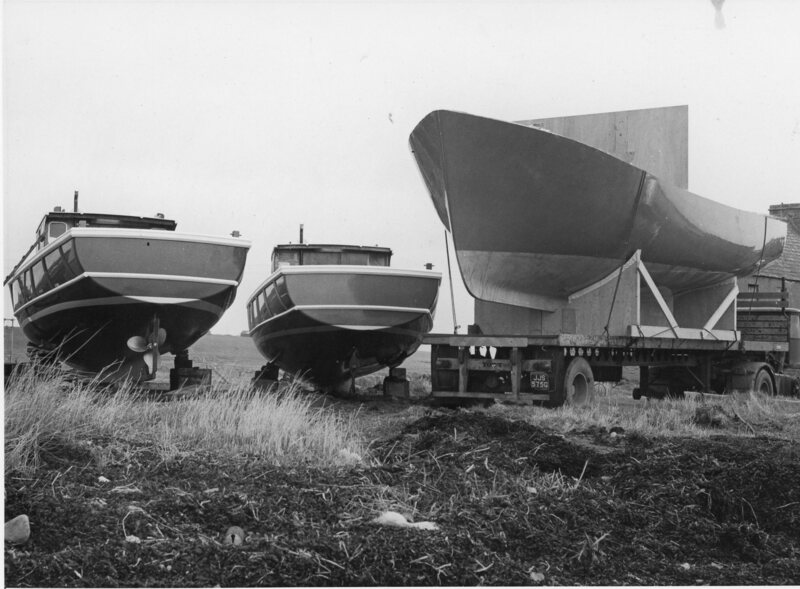 In the late sixties and early seventies further grants from HIDB gave rise to large numbers of 36ft boats being built. 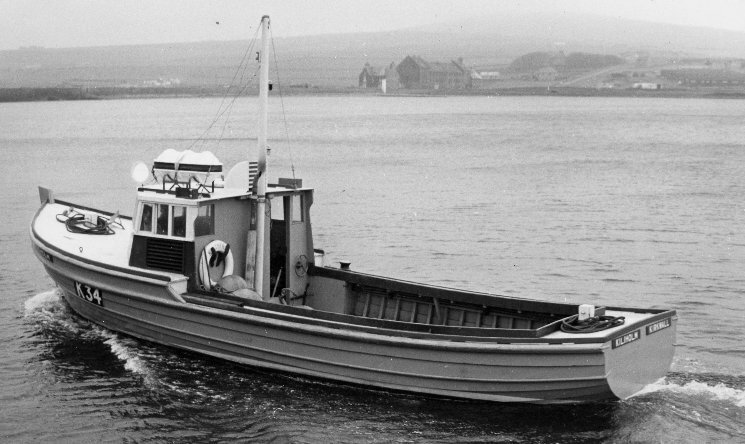 These fishing boats were very popular due to their large carrying capacity. 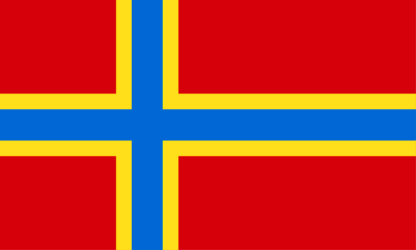 Orders for these boats came in from all over Scotland and many went to the Western Isles. 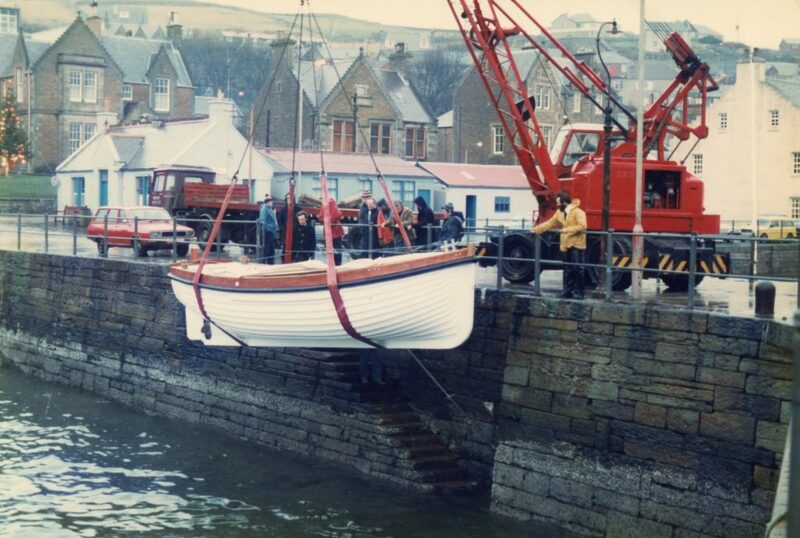 In the eighties Halmatic glass fibre boats, built at the factory in Kirkwall, were fitted out at Duncan’s yard. Three of these boats were fitted out as workboats for towing a barge to do repair work on ships calling at ports in Bahrain, Dubai and Oman. By the mid-eighties orders for wooden boats had dried up and Halmatic had ceased trading. From then on, the boatyard concentrated on repair work. As you can see from the photo below it was still a busy yard. This is a very small selection of the wide variety of boats build at Duncan’s boatyard. Robin retired at the age of 65 after 50 years building boats. 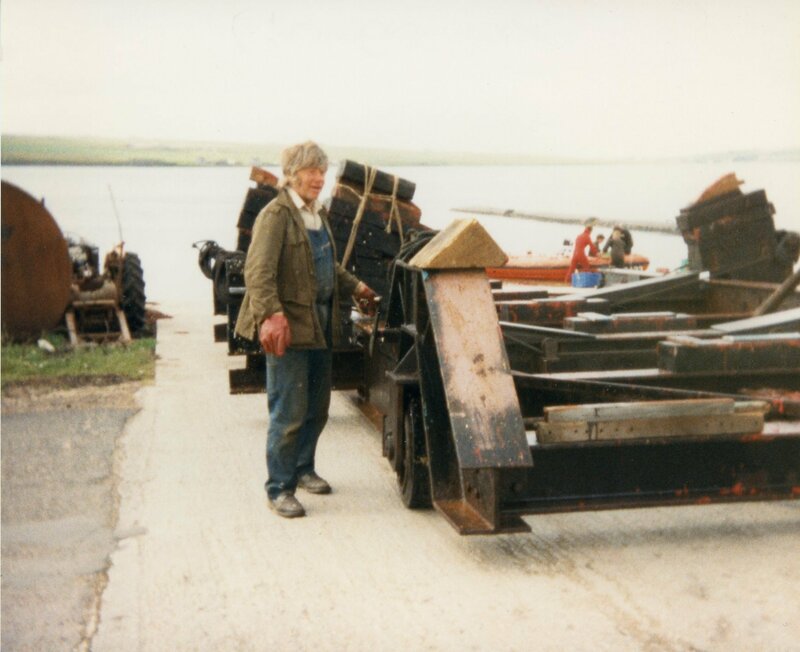 Still going strong at 82 he describes the many and varied designs of boat they produced and have gone all over the country and indeed the world.